I would like to thank Nexus for one more time for giving us the opportunity to make the first worldwide review of the newly released WaveAir. 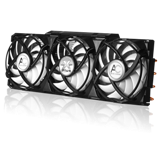 Nexus is well known for its quality and silent solutions.The newly released WaveAir is a revolutionary air extraction system for the pc. 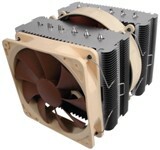 It is an 8cm fan, with a special casing that can fit onto a pci slot and extract, or blow air according to the position of the fan.